ASTFE is the premier international society by and for professionals within the thermal and fluids science and engineering community. 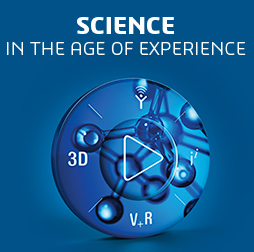 The 2019 ASTFE conference provides an international forum for the dissemination of the latest research and knowledge in the thermal and fluid sciences. The ASME 2019 PVP Conference promises to be the outstanding international technical forum for participants to further their knowledge-base by being exposed to diverse topics, and exchange opinions and ideas both from industry and academia in a variety of topics related to Pressure Vessel and Piping technologies for the Power and Process Industries. Science, engineering and technology have joined together in order to simulate a better world. We are part of a digital revolution that is providing scientists and analysts with an extraordinary opportunity to imagine the impossible and innovate the invisible. Industry now demands that analysts reduce costs, speed up design time and develop new products to compete with confidence in a crowded marketplace. Feel free to request a training session by sending an inquiry to JBL! Click the button below to describe your topics of interest.